Werewolf: The Apocalypse depicts the modern world through a werewolf’s eyes. These werewolves are man and wolf, walking the natural and spirit worlds, filled with Rage against the evils that would destroy everything that is. Sacred warriors imbued with power from the spirits of Earth and Moon, they are the doomed heroes screaming defiance in the face of impossibly powerful foes. The world is falling apart, poisoned by powerful corporations and spiritual evils alike, but each werewolf is determined to sell her life dearly. They will not win, but they will never give up. 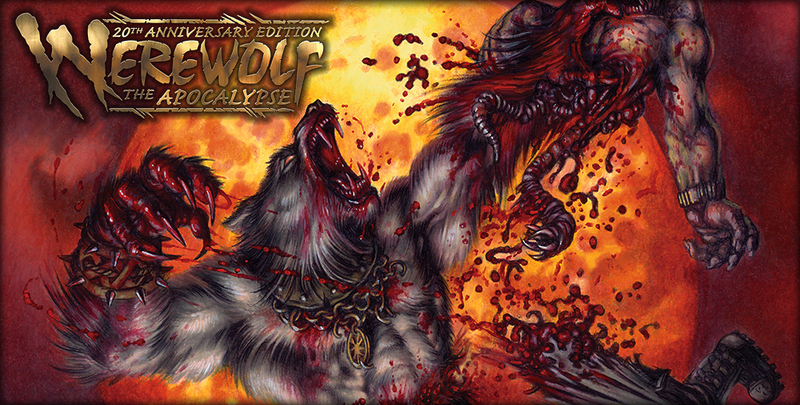 The second game in the World of Darkness, Werewolf: The Apocalypse roared into hobby games in 1992 and inspired a generation of fans to stand up and howl their defiance at a corrupted world. 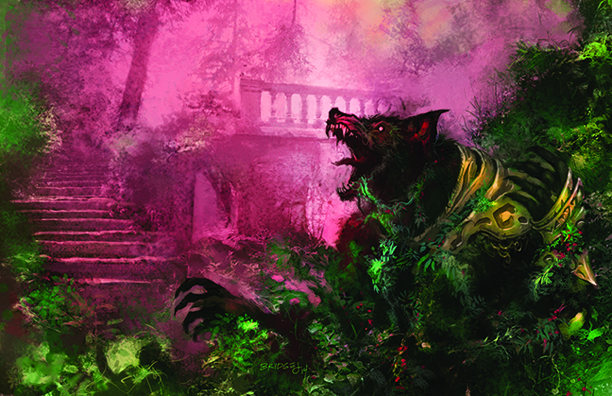 Its depiction of werewolves as animistic warriors has influenced how modern media portrays shapeshifters far beyond the game industry. In addition to roleplaying books, Onyx Path Publishing offers fiction, art, recipe books, and clothing products for Werewolf: The Apocalypse, as well as re-releasing PDF and print-on-demand copies of over a hundred original books. If this sounds interesting to you, head over to our DriveThruRPG storefront to get Werewolf: The Apocalypse 20th Anniversary Edition. Werewolf merchandise is available via our RedBubble store.